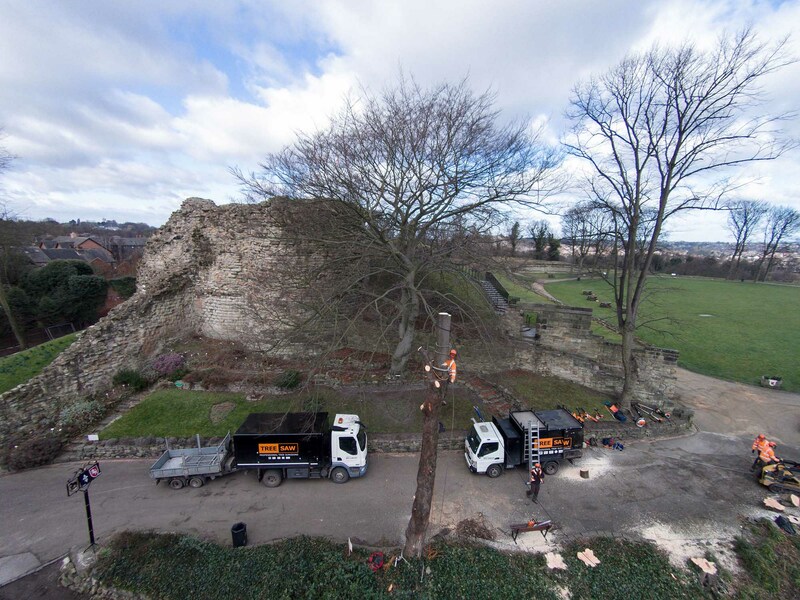 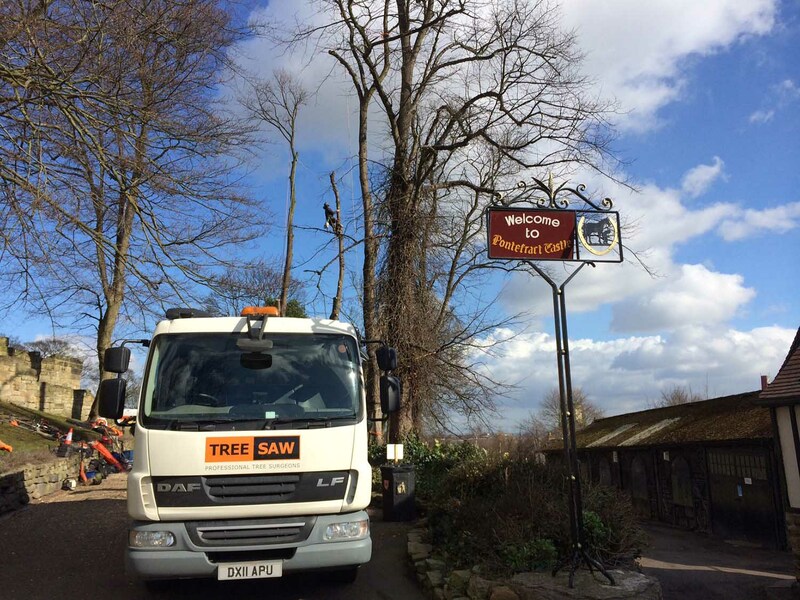 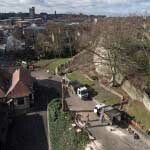 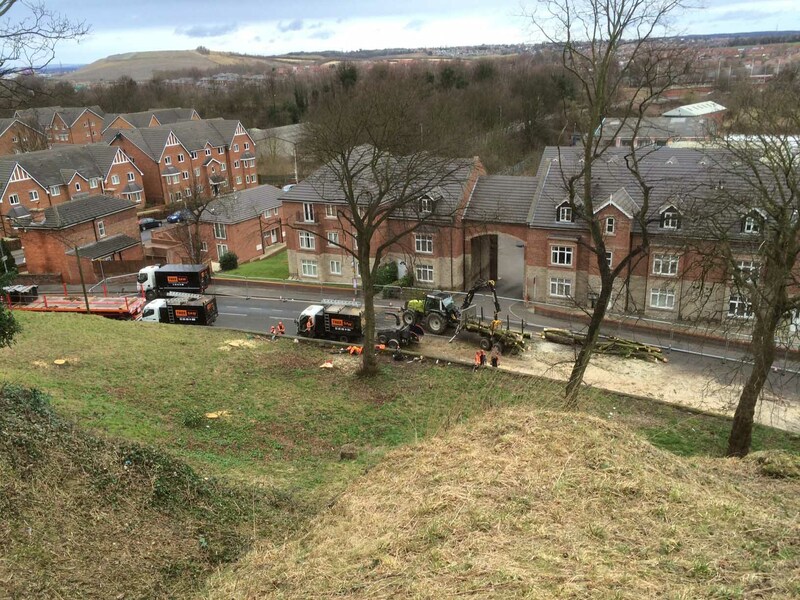 Treesaw was commissioned to remove over 150 trees and areas of vegetation from the grounds of Pontefract Castle as part of a wider landscaping project to improve the visual prominence of the historical castle structure and minimise damage to underlying archeology from tree roots. 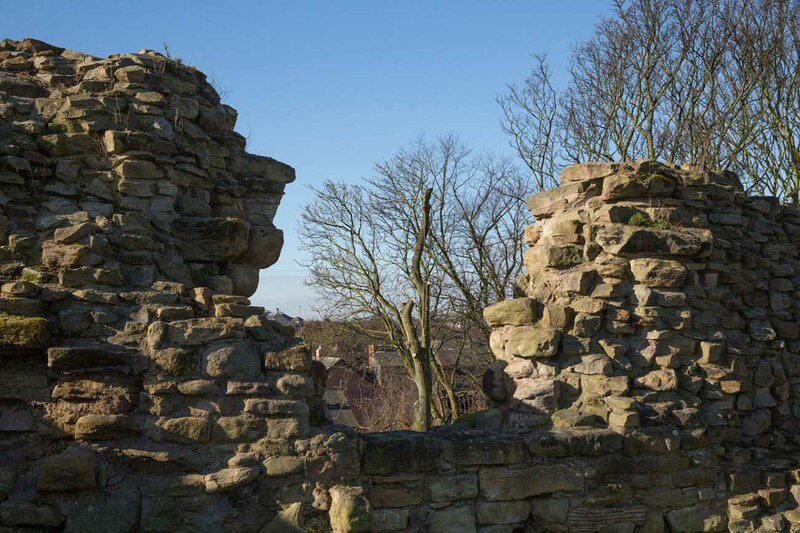 We identified eight work areas around the castle, based on the proposed methods of work. 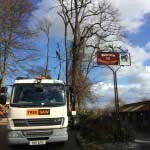 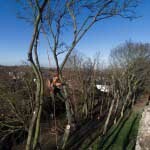 These included accessing and dismantling trees using truck mounted cranes, tree removals using manual climbing methods and vegetation clearance. 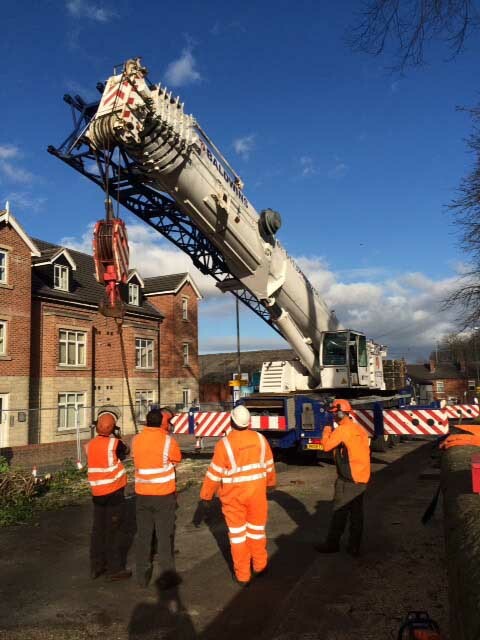 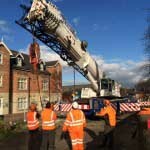 A crane dismantle method was thought to be much quicker than using manual rigging techniques and the impact on the ecology of the surrounding area, other than removing the trees themselves is very small. 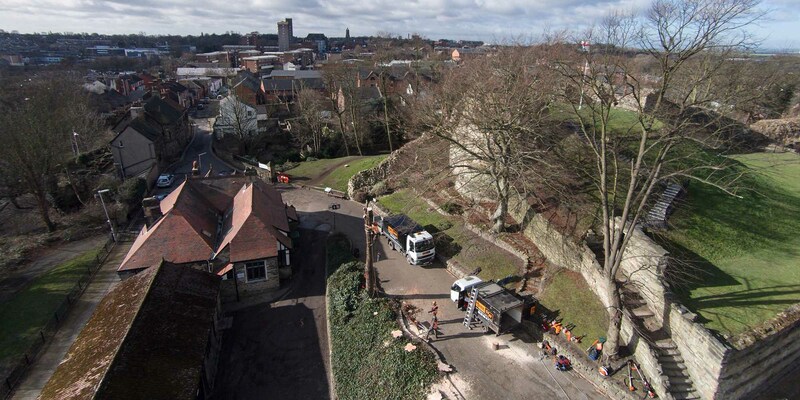 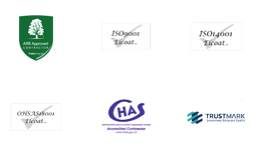 Associated traffic & pedestrian management measures included complete road closure (Sundays), traffic light systems and use of Chapter 8 signage and a pedestrian access plan. 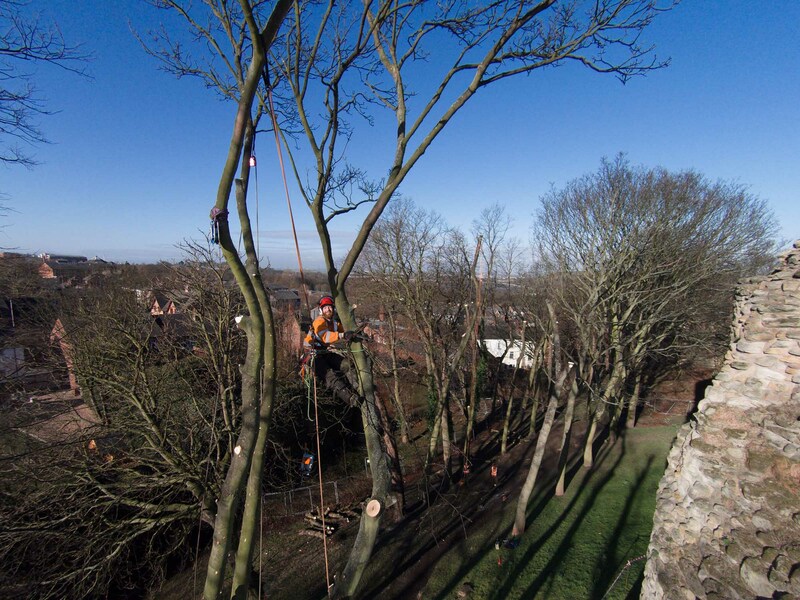 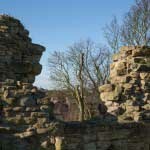 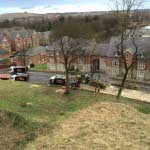 Other measures were used to ensure that the Scheduled Ancient Monument, the castle wall and retained trees were protected during the operations. 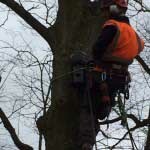 Part of the work involved carrying out surveys for the presence of bats and installing bat boxes to ensure these protected species were not adversely affected by the tree work. 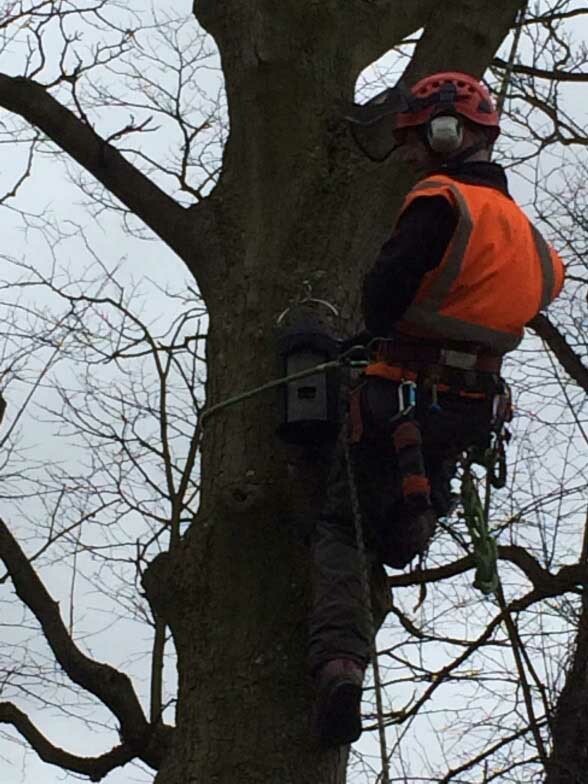 Purpose built bat boxes were positioned under expert guidance facing South-West and South-East. 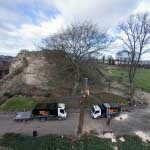 Watch this aerial video of Treesaw at Pontefract Castle on You Tube.